A Community Supported Agriculture farm is an alternative food network in which members together purchase the farm’s harvest, splitting the cost and the volume of the harvest into “shares”. 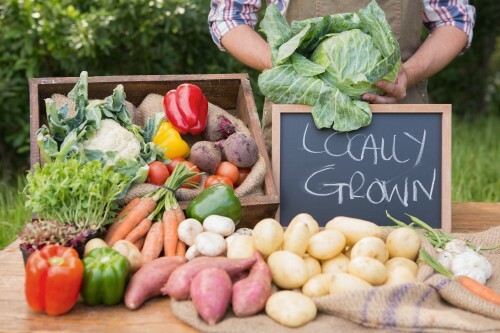 As a member, your share will be supporting the farmers, and the farm to produce a bounty of fresh fruits and vegetables throughout the seasons. Our CSA has provided members with nutrient-rich, seasonal, grown farm-fresh fruits and vegetables since 2003. 2019 will be the 16th season we have offered a CSA program. We have found the direct link to our Farm Share Members one of the most fulfilling aspects of growing produce for the local community. Spring season runs March through May - 11 weeks. Our summer season runs early June through October - 20 weeks. The fall season runs from mid-October through mid-December - 8 weeks. We provide a “market”-style pick-up for members at several locations each week. A sign will inform you of the bounty to fill your own bag, box or basket with, and someone will always be available to answer your questions. Our vegetables and fruits are the freshest possible. We focus on growing the highest quality produce that changes with the season to you coupled with helping our local community. We use sustainable and ecologically sound organic and natural growing methods to produce our product while maintaining great respect and care for the land and the livelihood of farming.